Despite its small size and its dual 4-inch aluminum cone woofers and 1-inch aluminum dome swivel tweeter, the VM-414 packs a mighty punch! The woofer-tweeter-woofer configuration results in high power handling and a focused dispersion pattern. The VM-414 works particularly well as a center channel due to its brilliant clarity, small profile, and magnetically shielded design. Accessories for this product may be found in the list below or check out the Accessories page for all of our speaker accessories. 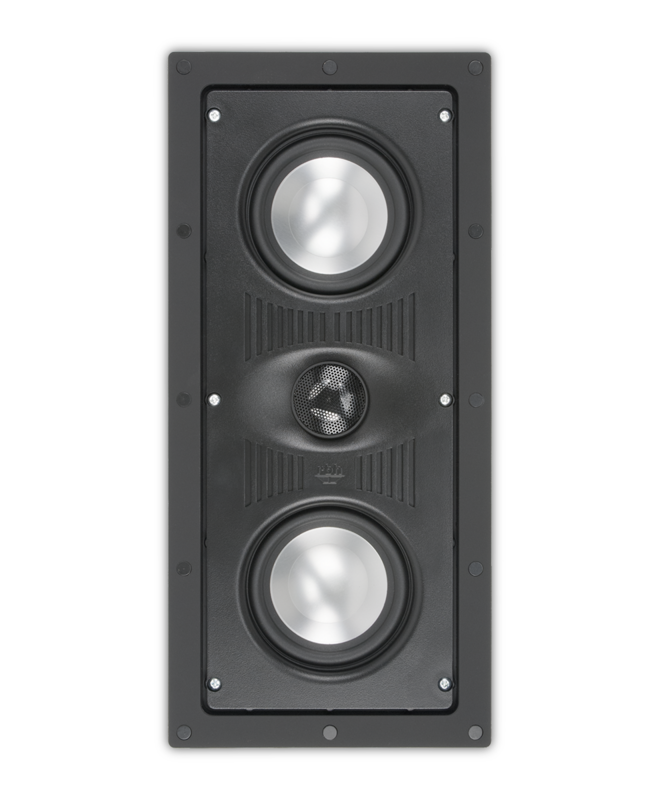 For all Visage Series Speakers click here. Paintable magnetic stainless steel grilles in black or white. 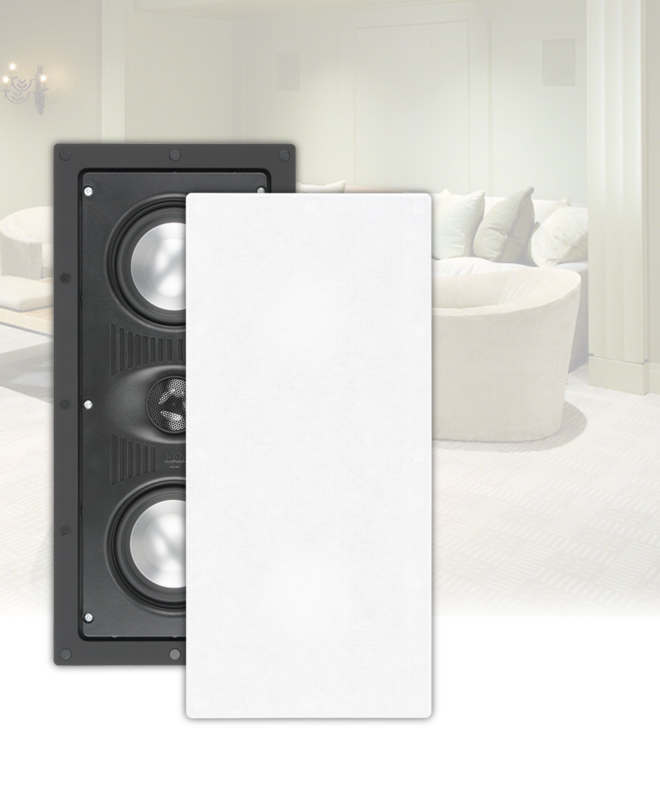 Visage Series in-wall speakers come with edge-to-edge magnetic grilles. Aluminum cone woofers providing a non-compressing piston area for the unparalleled bass response. Aluminum dome tweeters have excellent dispersion off-axis for room-filling high frequency accuracy. Accoustic lens dispering the high frequency energy, improving the off-axis response of the dome tweeters. Mylar capacitors minimize distortion and produce uncolored high frequency response. Protection devices integrated into the crossover circuitry is self resetting and helps ensure safe operation of the speaker. 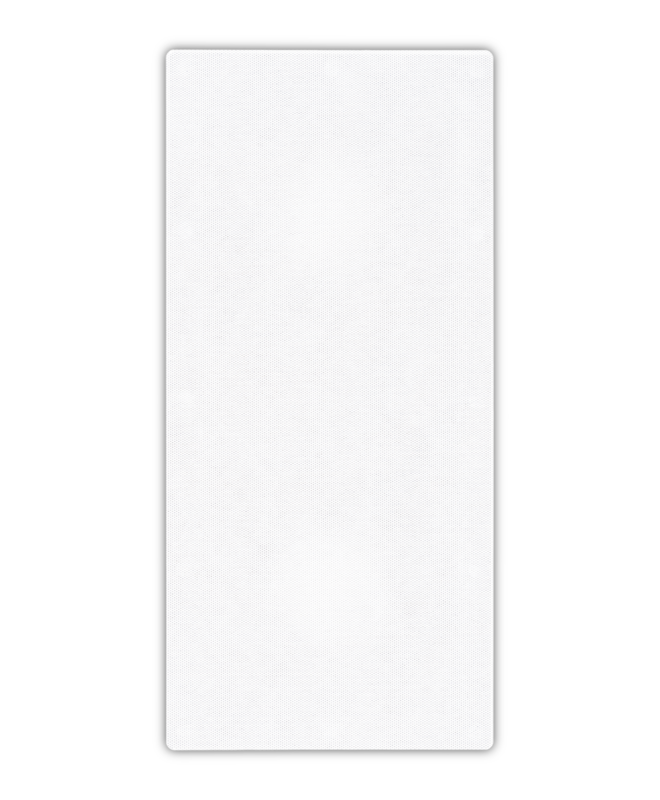 Paintable magnetic grille, if you desire to completely conceal your in-wall speaker.